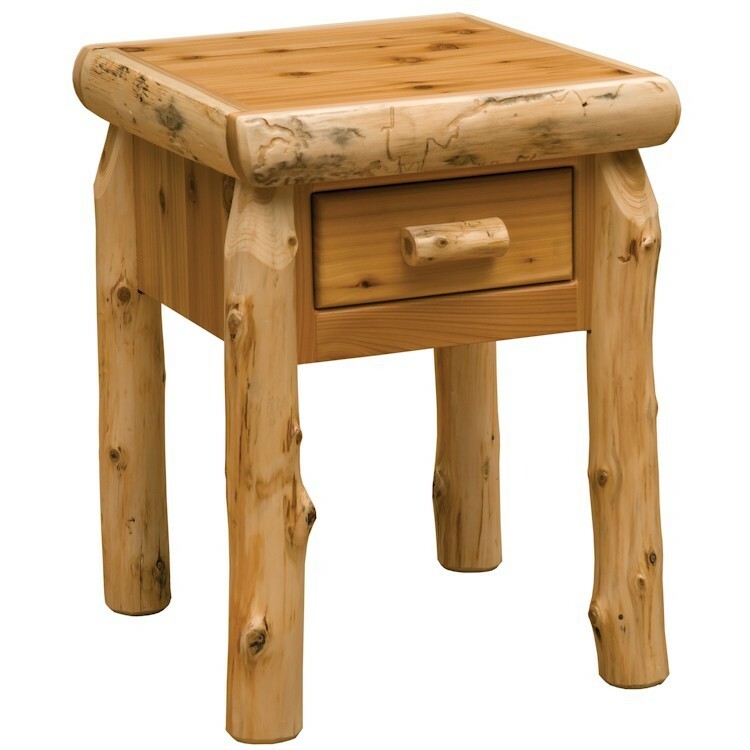 This traditional one drawer log nightstand features a dovetailed drawer with full extension ball bearing glides rated for 100lbs. 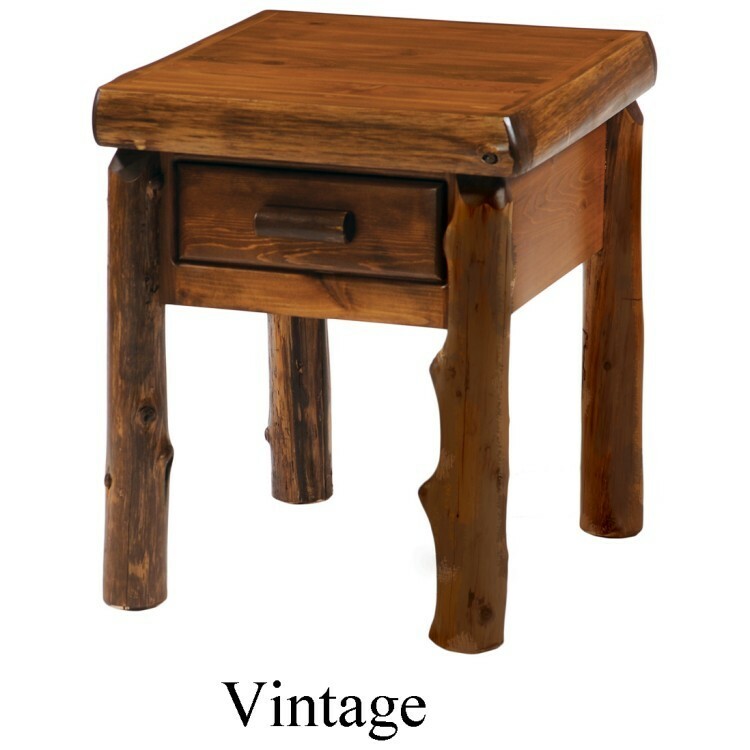 This traditional one drawer log nightstand features a dovetailed drawer with full extension ball bearing glides rated for 100lbs. It is individually hand crafted and made of hand peeled white cedar logs giving it a natural rustic look. It is clear coated with a catalyzed lacquer finish for extra durability.